So you have this old fur coat. You either bought it twenty years ago or you received it from your great aunt who bought it in the 1930s when full length minks were all the rage. But you look around and notice people aren’t typically wearing those full length coats anymore, or you simply don’t need that much coverage because the Kentucky winter have been getting a little warmer. Why should you restyle your piece? You never wear it. If you have a fur coat hanging in a cold storage vault (or worse, in your closet where it can get eaten up by moths…) and you haven’t gotten it out in years, the best option for you is this: Restyling. What’s old is once again new! The beauty of restyling is you can take an old (or even new) fur coat and transform something you never wear, for various reasons (it doesn’t fit, it’s out of style, it is too much coat, etc. ), into something you wear every time you leave your home in the winter months. Instead of attempting to sell the garment on eBay (if you don’t think you’ll wear it, chances are, most others won’t either) or take it to a consignment shop with the hope of making a whopping $100, consider transforming that once loved piece into something current that you will continue to love and appreciate for many years. Restyling is easier than ever now. We can take an old garment and turn it into something wonderful. 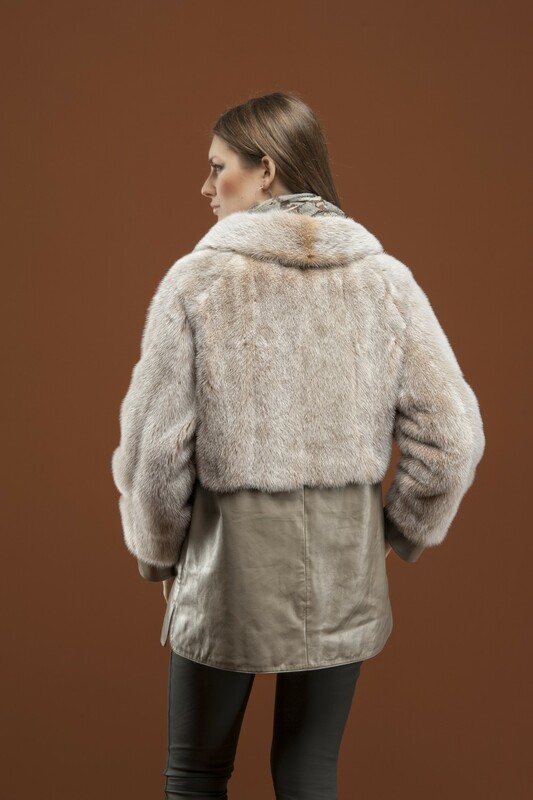 By taking an old, unwanted fur piece, we can alter it in a way that makes a completely new garment. All we need to do is have an old garment; it’s that simple. We turn something you never wear into something you can’t seem to put away. What are the steps to restyling? Call, or stop by, to schedule an appointment with our head furrier. Our restyling appointments are typically scheduled for Saturdays. Bring your garment with you on the scheduled day with some sort of idea of what you want done. 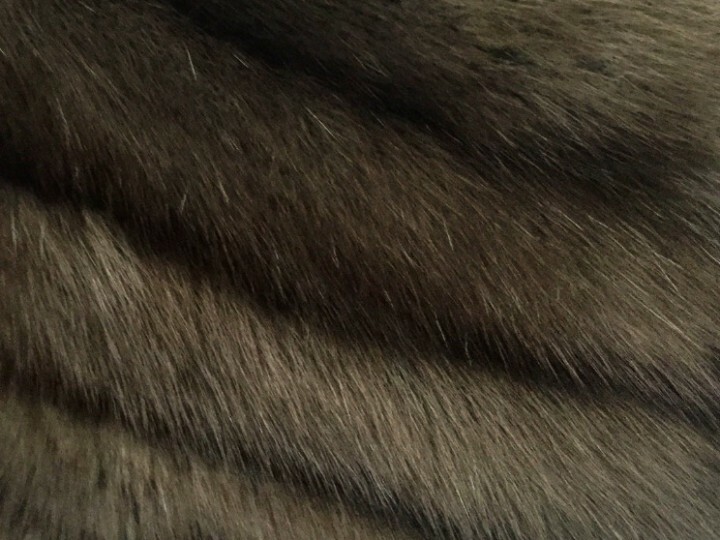 Our head furrier will inspect the garment in order to determine if it will work for a restyling (unfortunately, we can’t always restyle a garment – for example, if the skins are weak, there isn’t always a solution). We will work with you to decide what you want to do to your piece and determine a price. After you have settled on what you want done, we will take the garment, proceed with the restyling and call you in a few weeks in order to set up a fitting session. So you want to see a look book? Vests are a very hot fashion trend right now. They are great because you can wear them with virtually any outfit and complete a look. As you can see in the photo, vests look great even with a casual look. Or, if you so choose, it can be used to dress up an outfit for a special event. They are also great for a light and medium coverage. This piece will keep you warm without a lot of fabric in those in between months where the weather can’t decide if it wants to snow or spread sunshine throughout Kentucky. A fur and leather combo is a great way to restyle a piece. This way you have the fur to keep you warm and the added leather to keep the piece constantly in style. What makes this piece work is that it can function as a jacket as well as a stroller (depending on your height, but we can always adjust it to the length you desire). This piece is great if you don’t have a large garment to restyle (or your piece just doesn’t have a lot of fur). One of the best features of this style is the fur collar itself, as the collar will act as a scarf. The large fur sleeves are perfect to keep your hands warm as well. Plus, this is a dressier look, but it can also work in a casual setting. A longer piece is the absolute best for the cooler days in Kentucky. What’s great about this piece is it will keep most of your body warm. The sleeves can be made with down or leather (whichever you choose) and the fur will allow your body the defense it needs against Mother Nature when temperatures drop below 20°. As you can see, this is much like the above style only in a vest. A long vest will keep you warm while being light weight and stylish. A sleek vest like this is perfect for the work setting because it is professional and warm. So, if you happen to work in Kentucky and you need something to keep you warm while you walk outside (whether it’s from your car to the door or five blocks), this is a great choice for you. Do you have a garment you want to restyle and a look in mind? Call and make an appointment so we can have you in a fresh, revitalized piece you will enjoy for years! We also are not limited to only restyling women’s garments. If you are a man who wants anything done to a piece, please let us know how we can help. We would love to work with you in order to turn a garment into something you’ll constantly wear. Maybe the piece has sentimental value to it and you want to be able to remember a specific person while you wear it. Restyling allows you to keep that same garment, but turn it into something you will actually enjoy wearing in public (or you could have it transformed into a small blanket to keep you warm around the house). If you have something in mind that isn’t in our look book, our head furrier would love to speak with you to determine if what you want can be done. Sometimes all you need is to cut off some of the fur, add a few buttons, or remove the shoulder pads. Let us help you make the garment of your dreams!